I am a responsible maintenance engineer who is proficient in keeping a clean and safe environment for everyone as well as being reliable and friendly. I am extremely passionate and motivated, with a drive for excellence. 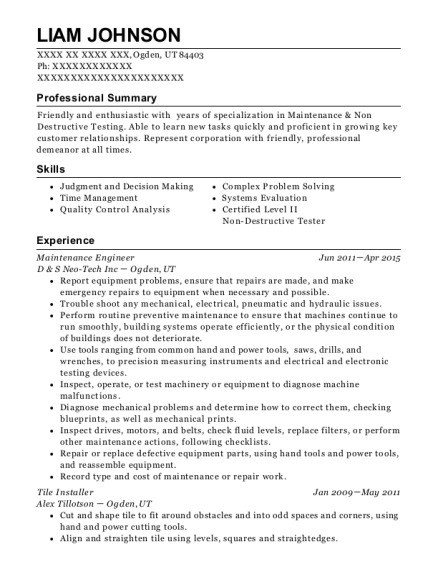 Many years of work and personal experiences dealing with maintaining businesses, machinery, and keeping customers satisfied have allowed me to prepare for any type of position. Ensure a safe and clean environment for students and staff. Clean and sanitize work areas, equipment, utensils, dishes, or silverware. Wash, peel, and cut various foods, such as fruits and vegetables, to prepare for cooking or serving. Distribute food to waiters and waitresses to serve to customers. Operate cash register, handle money, and give correct change. Check identification of individuals entering the establishment. Handle security situations calmly and collectively. Certification in Machine operations : Precision Machinery Jun 2009 Greater Altoona Career And Technology Center Altoona, PA Machine operation and reading of blue prints in thousandths of an inch. 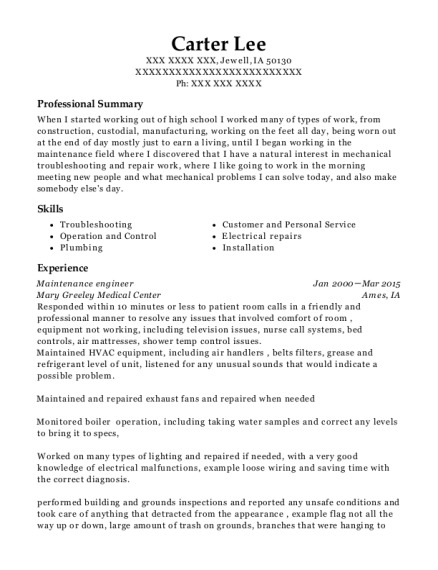 This is a resume for a Maintenance Engineer in Altoona, Pennsylvania with experience working for such companies as St Johns Catholic School and Red Lobster. 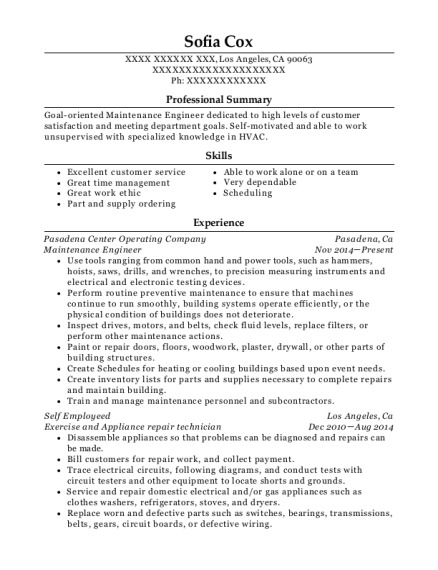 The grade for this resume is 0 and is one of hundreds of Maintenance Engineer resumes available on our site for free. 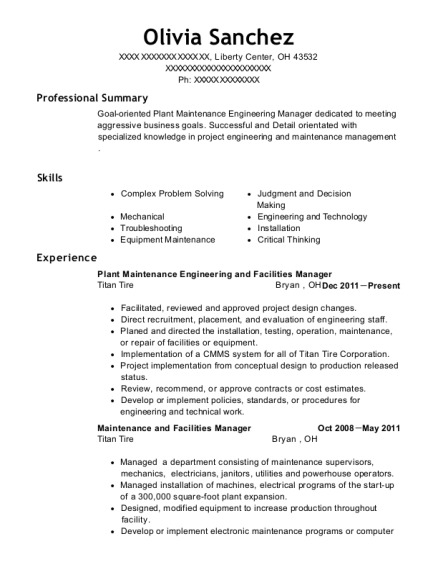 Use these resumes as templates to get help creating the best Maintenance Engineer resume.